I don't know about you but I relish the experience of going to the bathroom in a hotel or restaurant. The folded flannels in a wicker basket, the essential oil soap and hand moisturiser, the freshly cut flowers and the reed diffuser wafting citrus scents. However sad this makes me I want to create this chic fresh environment for all of my house guests. Albeit maybe not the fresh flannels - ain't nobody got time for that. Now its coming to spring and I am growing tired by my left over christmas yankee cinnamon diffuser. So I popped into my local white company to have a peruse at some fresh spring home fragrances. 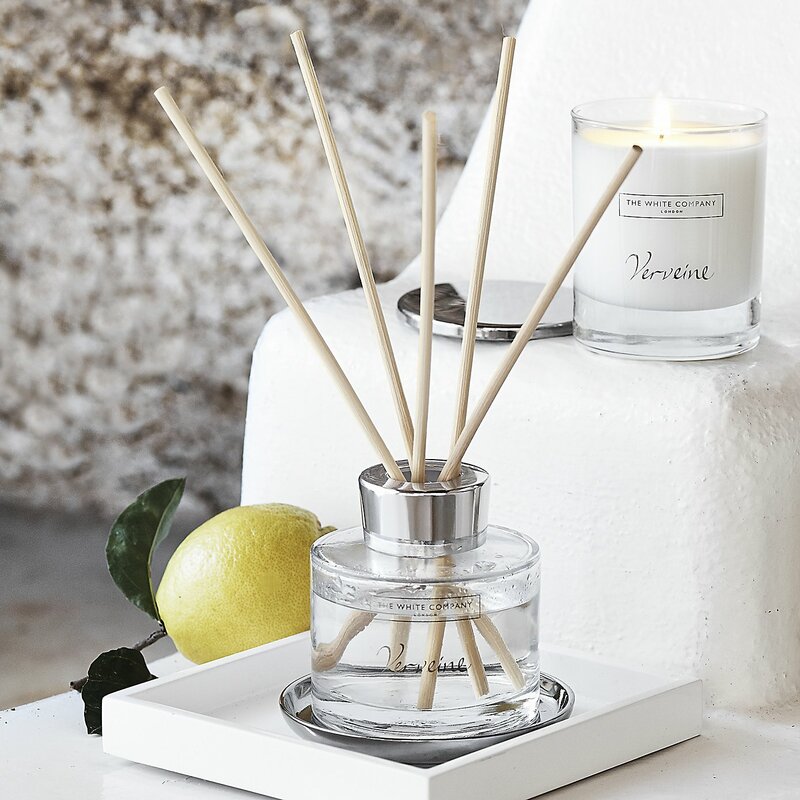 So I thought I would share with you my recent purchases at the White Company, so, if like me, you have a weird obsession with scents and home vibes read on. The diffuser I bought is Verveine. 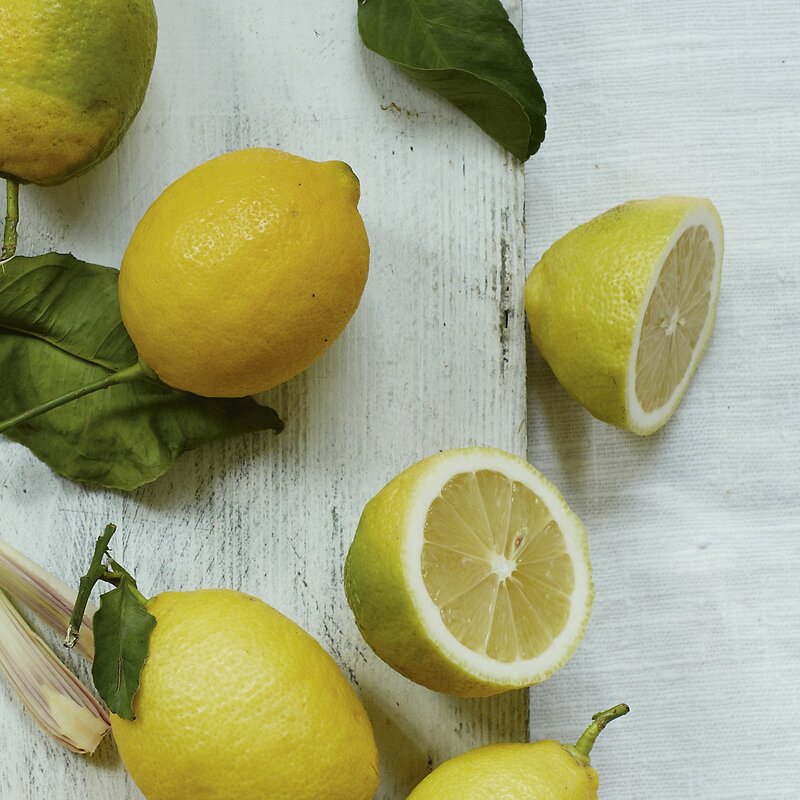 The smell reminds me of grating a fresh lemon on holidays in in the South of France while cooking, a truly happy and uplifting fragrance. I placed this in my hallway to greet guests entering my house and have swapped the reeds over every couple of weeks to retain the fresh citrus scent. It is supposed to last 3 months so I cannot comment on that as of yet but the staying power of the scent is truly worth the price (£25, available from here), as the scent permeates through the whole house and not just one room unlike other brands. What are your favourite scents for summer? Goodness, this is truly intriguing perusing.